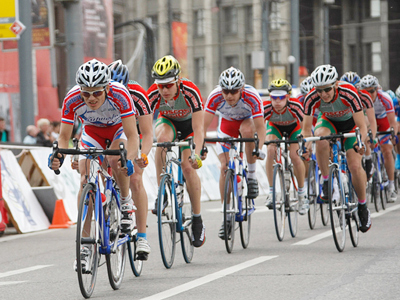 One of the world's oldest cycle races has got underway in the Russian capital. 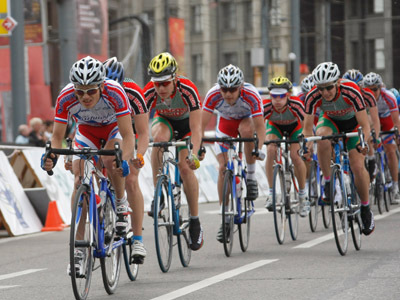 The Five Rings of Moscow race lasts five days and brings together riders from all over the world. It is one of the oldest cycling races in the world. Its predecessor, the Garden Ring race, was first held in 1920, while its modern history counts from 1993, when it became international, meaning this year’s event is the milestone 20th. It changed to its current five-day format back in the year 2000, and today 174 cyclists from 29 teams are battling for a prize fund of nearly 24,000 euro over the course of 730 kilometers. The first 150-kilometer stage of the road race was held at the Krylatskoe track, built for the 1980 Summer Olympics. It ends with the Garden Ring Race in Moscow on Victory Day, May 9, which commemorates the Soviet defeat of the Nazis. Cyclists from over 20 international teams will be pedaling for points over the next few days. “Everything in the world evolves, including this race, but the Five Rings of Moscow has a rich history dating back from the 1920s. In recent years we have noticed better organization of this event and this particular race features athletes who'll compete at the Olympic Games in London,” says the Russian Cycling Federation’s General Director, Vladimir Vagenleitner. Professional athletes are usually associated with the highest possible levels of health. However, one group of cyclists is defying the odds for those suffering from what can be a debilitating condition. They are in the team known as Type 1, so named as members are sufferers of Type 1 diabetes, and are making their international debut in Moscow. Two Type 1 cyclists managed to impress right from the off and finished the race in the top 30, crossing the finishing line only around three minutes behind the eventual winner of the first stage. The stage winner was Serb Ivan Stevic of the Turkish team Salcano with a time of 3 hours 54 minutes and 9 seconds. He claimed the race leader's yellow jersey coming out on top by a fraction after a frantic tussle on the finishing line. Four days of cycling remain for Muscovites in a city more used to cars in gridlock than bicycles being kings of the road.